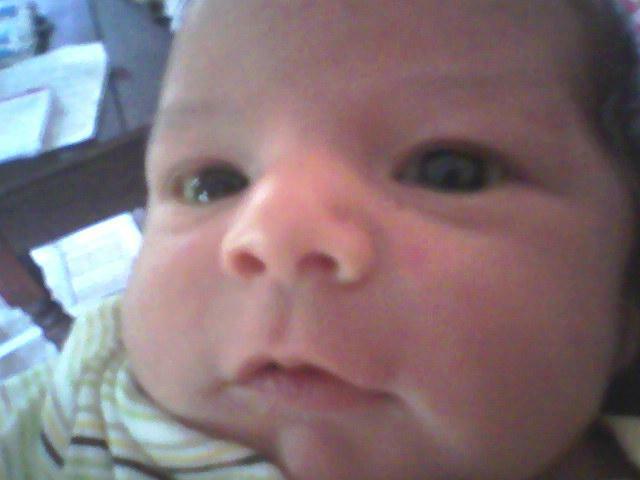 We’re going to see our newest grandson, Oliver James Boliba, who was born Monday, April 19. Notice the cheeks. We understand that little Oliver is not sleeping for very long at a time, or at the right time — meaning, at night. So, we may be a bit tired when we return from visiting our daughter, Amy; son-in-law Randy; and, Oliver’s older brother, Wesley. I’ll be checking in here, but will not be preaching this Sunday. I’ll be playing with Oliver and Wesley. And hopefully sleeping some. I’ll let you know.